Custom wedding, birthday, and all occasion cakes. 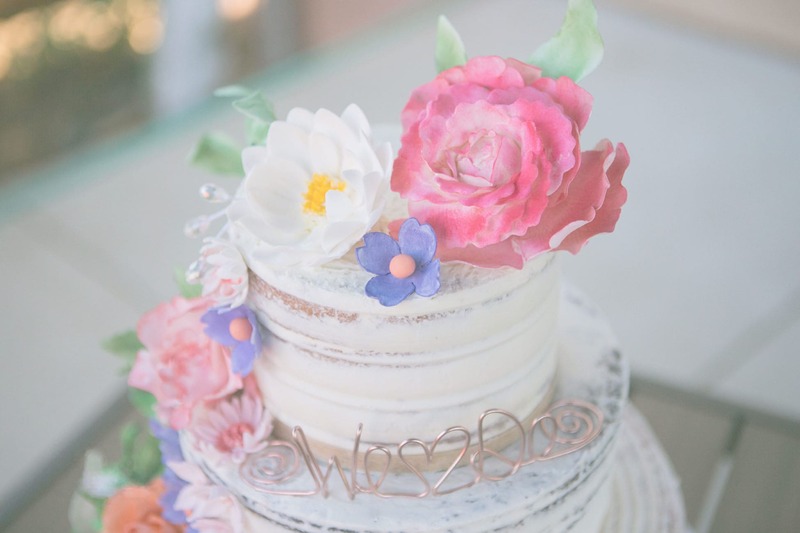 All of my flowers are handcrafted sugar flowers! It’s always a great day for cake! Welcome to PKs Custom Cakes located on the lovely Central Coast in Arroyo Grande, California. All of my cakes are homemade from scratch and organic, including all fillings, frostings, and cakes. Specialty cakes such as gluten-free are available as well. From custom wedding cakes to birthday cakes or baby shower cakes, I will work together to create the cake you’ve been dreaming of! I’m the owner of PKs Custom Cakes and passionate about baking and designing cakes! I’m a retired Registered Nurse and now a custom cake decorator. I have been decorating cakes for many years which has lead to PKs Custom Cakes. I bake, decorate, and run PKs Custom Cakes out of my home kitchen so my cakes are truly homemade. PKs operates under a Cottage Industry License, along with a city business license to ensure the highest level of professionalism. 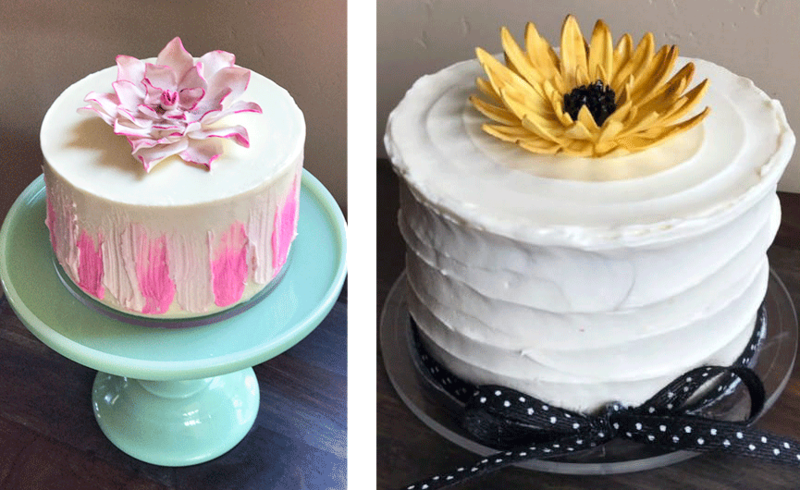 I have been baking and decorating cakes for the past 30 years and have attended many cake decorating courses to perfect my techniques. I was also trained by the world-class wedding cake designer, Paul Bradford. I attended the Paul Bradford Sugarcraft School for a 5-day advanced course in Scotland where I received my certification. Further, I continue to take various classes to stay current on trends, styles, and techniques. I custom design each wedding cake and all occasion cakes to fit the personality and style of the event! Wow- Pam is absolutely passionate about cakes and it shows in her work and in how she treats her clients! The cake was by far the BEST tasting cake we had ever had. 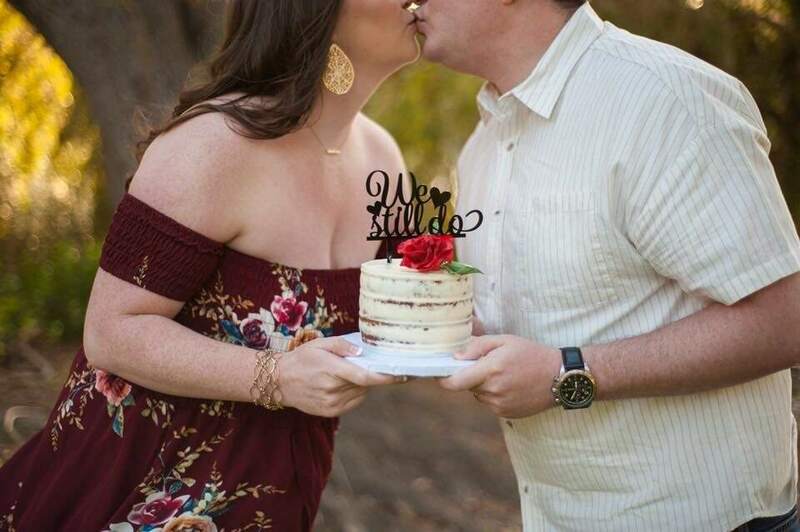 All of our guests commented the same, and the owner of our venue (who has put on hundreds of weddings), even made sure to get Pam's contact info because she was so impressed with how delicious the cake was. We couldn't recommend Pam any more highly, and we will certainly be going to back to her for any future cakes our family needs in the future. She is amazing and such a warm, kind person! Pam was not only passionate about her cake but took some rough ideas I had and turned them into a dream wedding cake. The top layer was lemon with lemon filling, middle layer was chocolate and the bottom was strawberry with strawberry filling. Her price was very reasonable and everyone could not stop talking about how delicious this cake was. Her sugar flowers were so good, people thought they were real! In 105 degree weather, this cake was still cool, moist and delicious. I seriously just want to order a cake for myself from her and not share it with anyone (not even my now husband haha). She was attentive, sweet and wonderful. We love you, Pam! Pam was so easy to work with! She is so passionate about what she does and it shows every step of the way! Her custom flowers are true works of art and even more beautiful than we could have imagined. The cake tasted truly divine!! Moist strawberry cake with fresh organic strawberry filling was perfect on a hot summer day. The chocolate was rich and velvety. The best wedding cake I have ever tasted!!! Guests were raving. If you want a beautiful and delicious cake PKs Custom Cakes will not disappoint. I am forever grateful to Pam for making this aspect of my sisters wedding perfect. Have a custom designed cake without breaking the bank. PKs Custom Cakes offers a 6′ round cake with 2 layers of cake and 3 layers of filling that feeds up to 12 of your guests for only $75. 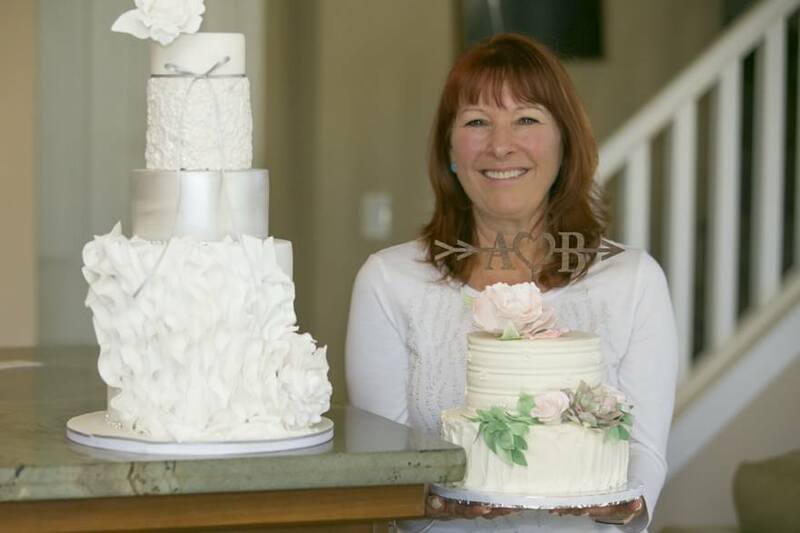 Whether you’re having a birthday party, baby shower, or just a small gathering, these cakes will impress your guests and have been featured as one of the 10 amazing cakes in San Luis Obispo County.